One of the goodies in my DWFitness hamper was the Puressentiel Muscle and Joints roller. I’ve started to attend more classes at the gym to work on my strength, most of which involves working out with weights - which is completely new to me! As great as it feels during and immediately after, the next few days…not so much. My muscles are not used to being stretched and worked like this, the closest I’ve ever got to anything weight related is carrying too much shopping home! 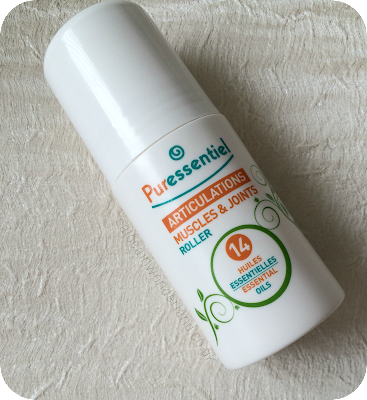 The Puressentiel roller contains 14 essential oils designed to soothe tired and aching musches, release tightness and tension and increase muscle suppleness. It’s also aimed at backache, muscle spasms, general aches and pains, so not just fitness related muscle fatigue! I thought the roller might be a little small but it’s actually the perfect size and more product comes out than I expected. I tend to suffer with really tight muscles around my neck and shoulders, partially due to exercise, mostly due to being a blogger. Hours sitting at the table typing away writing up blog posts, comments, social media, editing etc takes its toll! I’ve been keeping this little roller near by and when the stiffness starts to kick in I get to rolling. Much like a roll on deodorant, you simple roll the lotion over the affected area. I then like to work it in with a little massage action which feels amazing when my muscles are really tense. 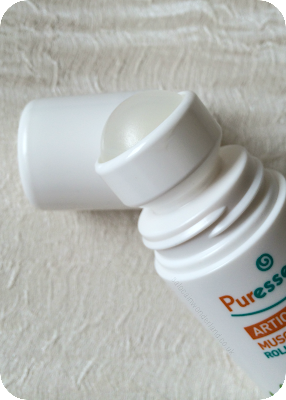 I read it was great pre work out too, so prior to my last kettle bells (read: insanely painful weights class) I applied some of the Puressentiel to my neck, shoulders and upper thighs - these are the places where I really feel all kinds of torn muscles screaming in agony the next day! 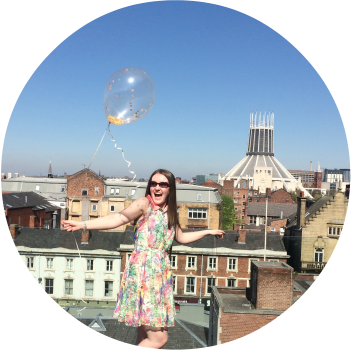 Though I was still walking like a pregnant penguin the next day, I did notice that the stiffness in my neck subsided quicker than usual. I did continue to apple the Puressentiel 3 times a day for 2-3 days after the class too which I think made a big difference. One thing worth noting is the Puressentiel roller has a distinctly strong scent, so much so that I can smell it even when it’s in my drawer. It smells strongly of eucalyptus and peppermint (2/14 of it’s essential oils). Now, I happen to really like the scent, I love fresh. almost medicinal scents, and I do think that plays a big part in helping you to mentally relax - which is wonderful after an epic blog writing session as well as a physical workout! 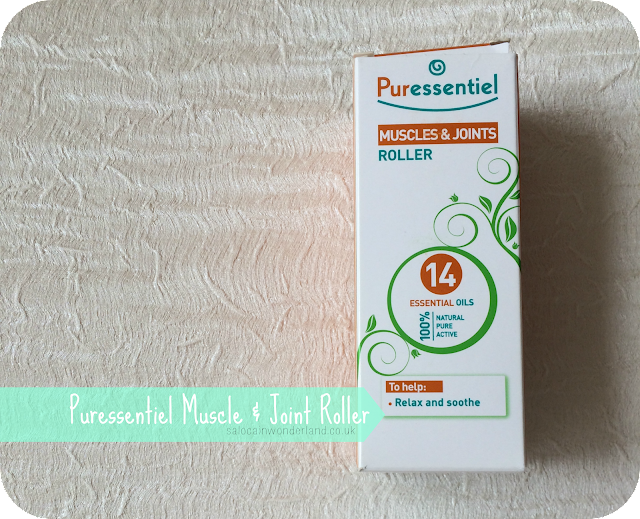 Have you ever tried the Puressentiel muscle and joint roller? How do you relax after an intense workout? Let me know in the comments below! *Post was written on behalf of Puressentiel, but all views and opinions are 100% my own. See my disclaimer policy here. It's ideal, gym go-ers and bloggers alike. it's helped so much, especially with that familiar neck pain that comes from spending too much time reading blogs and writing posts haha! I wish I'd had it back when I was in uni, it would have been a life saver during those epic essay writing sessions! It's well worth trying out! It should be an essential in every bloggers survival kit!